After Lyon we drove down to Marseille (again with another stop -- in another post) where we had our home base for the rest of our trip. 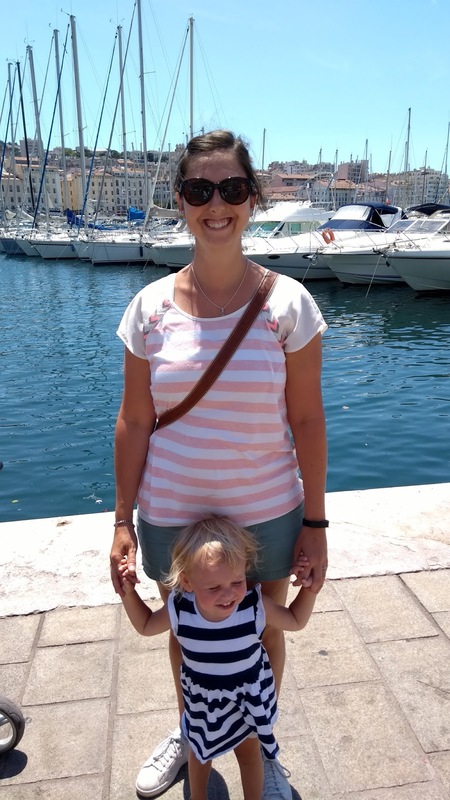 Our original plan was to only spend a day exploring Marseille, but our toddler had other plans and we ended up spending two full days in Marseille and using our other days "day tripping" around the region. 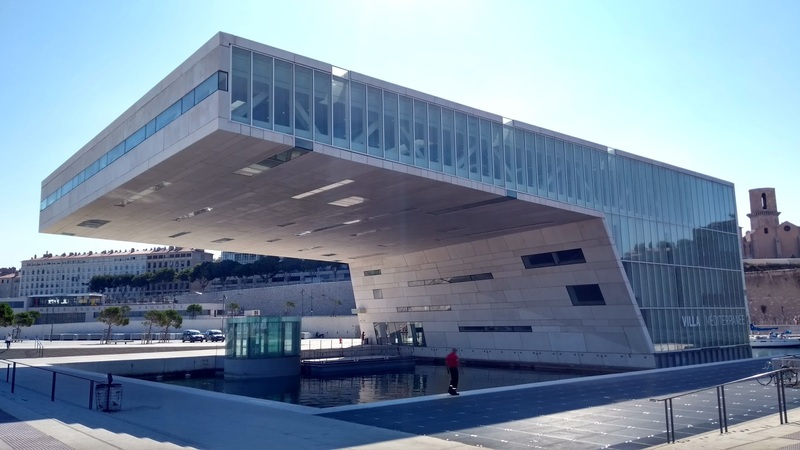 Marseille. I am not even sure where to begin... It is the second largest city in France and often has a very bad reputation for being dirty, seedy and not worth your time. 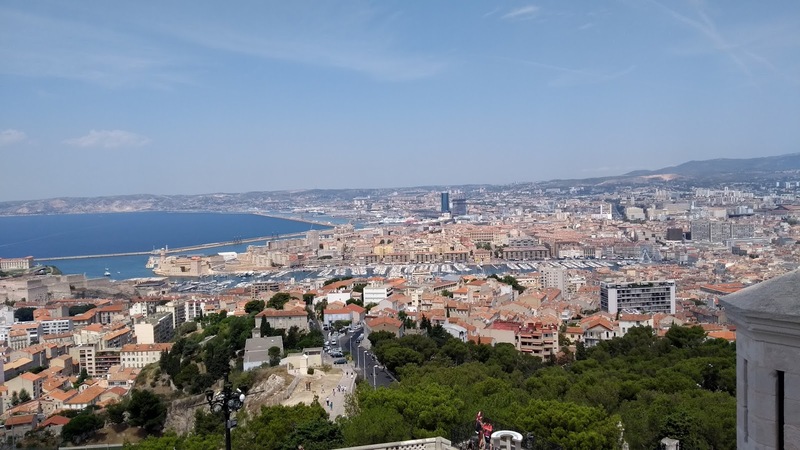 And while it is very dirty and a little seedy, Marseille should not be missed -- it is a maritime and port town but also very rich in culture and history (and character). 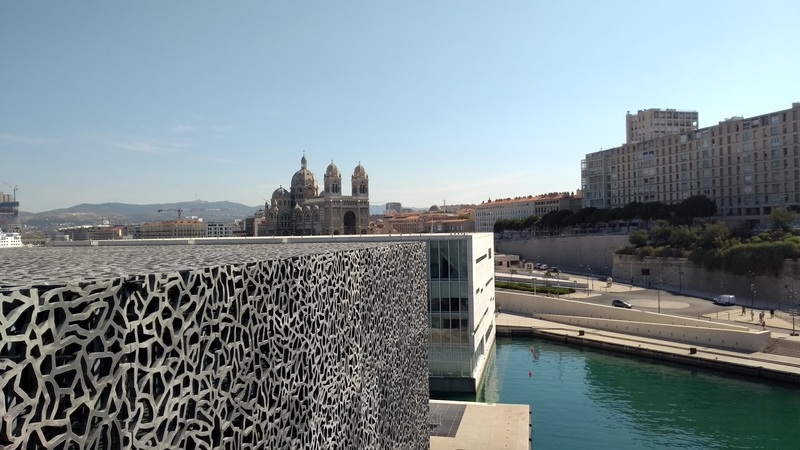 I had always wanted to go to Marseille since The Count of Monte Cristo is my all time favorite book and the first part of the book is set in Marseille -- and Marseille as a city did not disappoint and we loved it! 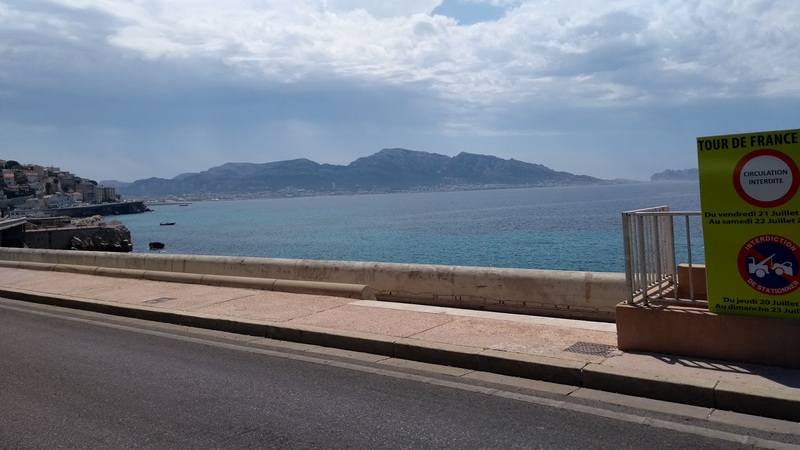 We went the AirBnB route in Marseille since free parking was included and we needed a place to park our car -- so we stayed here and loved it. The neighborhood was a little sketch so I was happy we were never out late at night, but that seemed to be most of Marseille. The place was close to a tram line and about a 20-25 minute walk to the heart of the city -- Vieux Port. 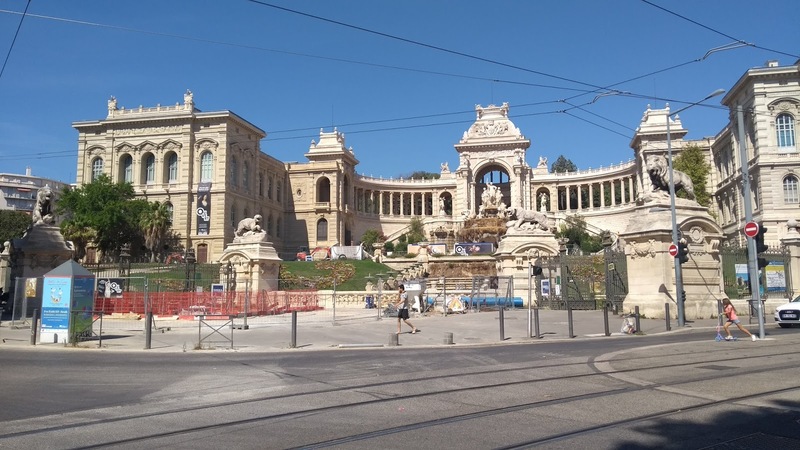 It was downhill on the way there, and a not so fun uphill on the way back.... Marseille is HILLY so we were happy to ride the trams a few times! But the place was perfect for our small family of three and had literally the best shower I have ever seen and Serafina agreed! 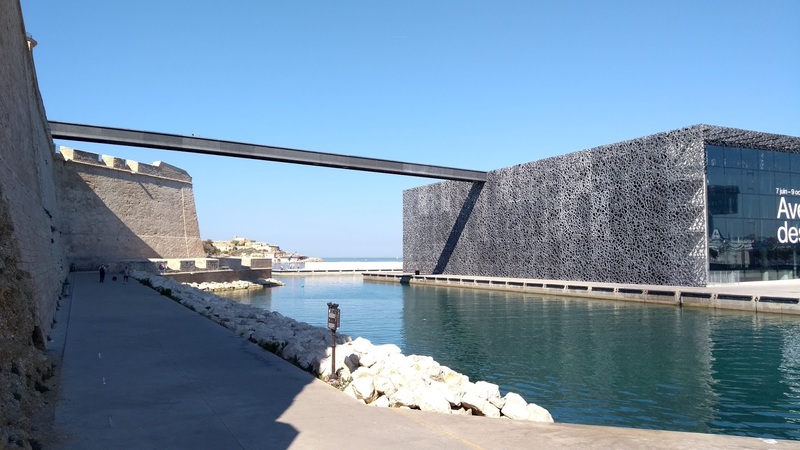 MuCEM -- Musée des Civilizations de l'Europe de la Méditerranée which is more like two museums in one, one part is a very modern looking building (called the J4) that houses exhibits explaining the history of the Mediterranean and the other part is the the Fort St-Jean (an old 13th century fort over looking the old port). The two are connected by a very cool (but quite high) foot bridge. While the J4 building was toddler friendly, the fort was a little tricky to maneuver with the stroller, but the views were worth it! Le Panier -- this is the neighborhood on the other side of the fort (go across another foot bridge), small, narrow, winding streets with an insane amount of stairs, but adorable squares and local shops -- a very fun place to wander, just not super stroller friendly.... we again got stuck carrying the sleeping Peanut in the stroller down many many stairs, you can also head to Centre de la Vieille Charité which in the heart of Le Panier and it is a gorgeous building that used to a charity structure... sadly we didn't make it here as we couldn't figure out how to get there and avoid all the stairs! 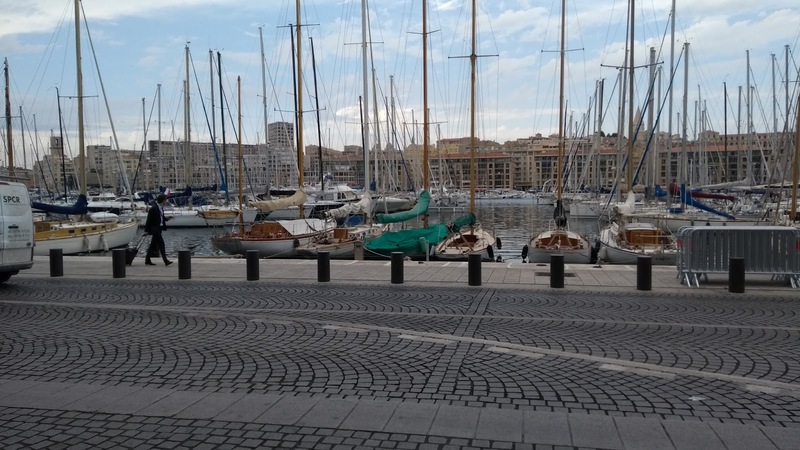 Vieux Port -- the old part of Marseille and it is quite spectacular, gorgeous yachts and small fishing boats everywhere you look, restaurants surround all three sides (as well as tourists), and has been used for more than 26 centuries! 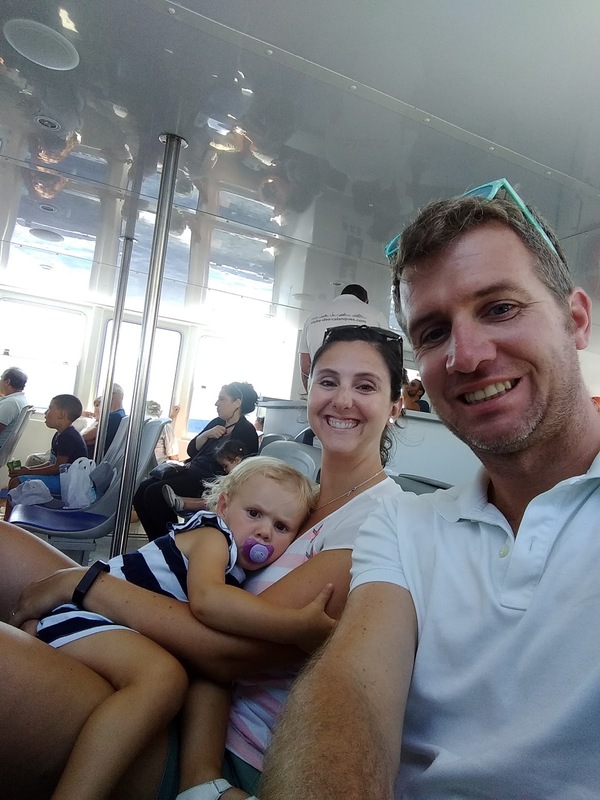 There is a small ferry boat that will take you from one side to the other so you don't have to walk around the port (well worth it! ), this is also where you can take tourist boats to Les Calanques and Château d'If. Les Calanques -- national park between Marseille and Cassis, stretching 20km of high and rocky promontories, separated occasionally by secluded and gorgeous beaches with the amazing turquoise waters of the Mediterranean. 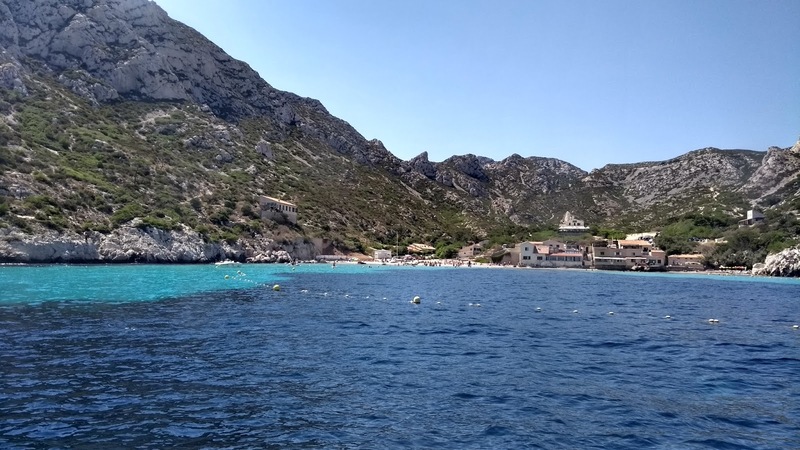 The only way to see the park in the summer is by a boat cruise (as the hiking trails close and only those with reservations are allowed into the inlets/calanques/beaches). We took a boat cruise with this company and it was great -- roughly three hours and we saw gorgeous coastlines, amazing views and had a blast! 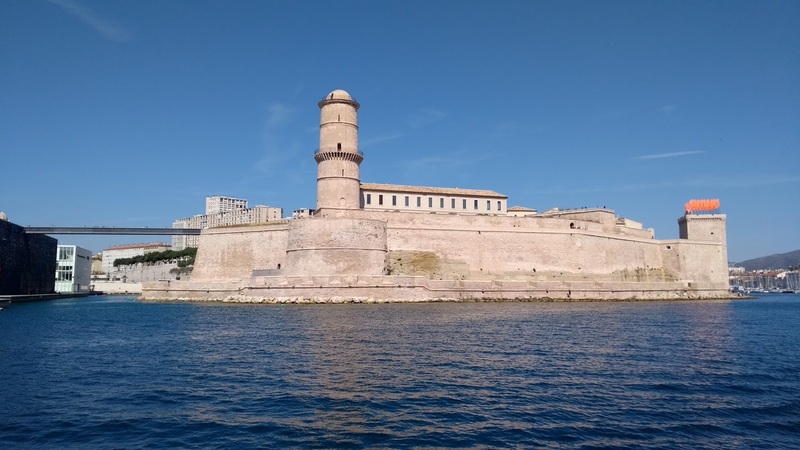 We also went past Château d'If which is in my favorite book and something I had always wanted to see. 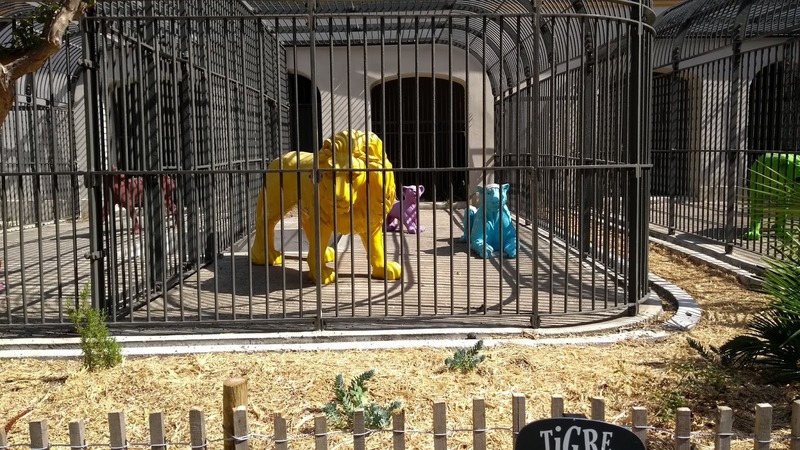 We chose not to actually go to the prison as we had read/heard that it wasn't that great and also not super toddler friendly -- I was satisfied with seeing it from the boat. Eating in Marseille -- we didn't do much eating out in Marseille as we mostly made dinners back at our apartment, but we did have some amazing ice cream at Vanille Noire, including their famous black vanilla ice cream. And we had a super good and filling lunch at Chez Fanny -- highly recommend both of these places! 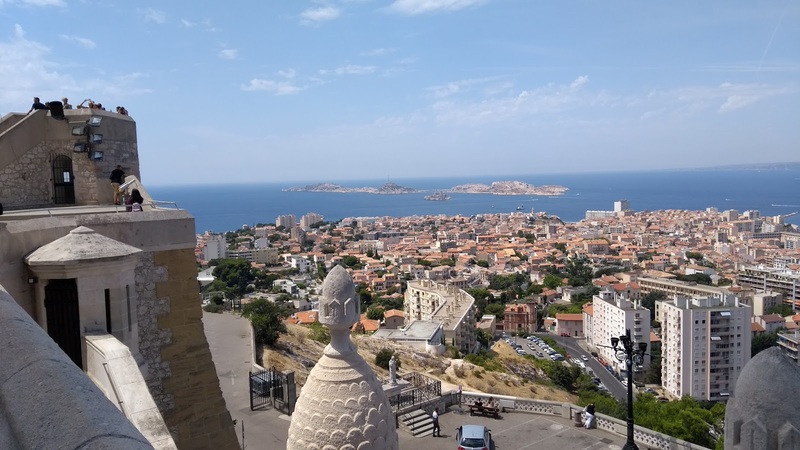 We loved Marseille and were very happy to spend a second day in the city -- if you get the chance, check out this underrated city! And don't forget to buy soap while here, the city of Marseille is famous for their natural soap and we sure stocked up (we preferred this small shop over the larger ones)!